Samsung’s Modus 3500 is no ordinary bluetooth headset. While it does offer standard earpiece functionality, it also comes with a pair of stereo ear-buds. It essentially kills two birds with one stone. With states across the country passing and enforcing hands-free driving laws, it couldn’t be a better time to invest in a headset. As the Samsung Modus costs less than a citation, it’s worth considering. Plus, it has an edge over competition since it lets you listen to your tunes cable-free. But keep reading to find out whether other factors such as audio quality meet expectations. I paired the Modus 3500 with my iPhone 3GS. The setup process was fairly traditional. I had to hold down the multifunction button for about four seconds until the LED indicator became a solid blue. After the device appeared on my iPhone’s list of Bluetooth device, the pairing took about 30 seconds and was hassle-free. I didn’t even need a pin number to pair meaning users won’t need to shuffle through the manual looking for one. Samsung’s latest pair process is as simple and painless as possible, which is great for those who aren’t too tech savvy. While pairing a single device is expected, the Modus supports simultaneously remaining connected to two. As more of our devices become Bluetooth-enabled, Multipoint technology is essential. For instance, if paired with two phones, the Modus can answer an incoming call from either one without having to re-connect. Sure, not everyone owns two phones, but let’s take these scenarios for instance. While I didn’t necessarily need to multiple device, I found that I could let it pair with my Dell SXPS 16 laptop for answer Skype calls. Others can even have it configured with their PlayStation 3 for gaming and a phone for calls. While some high-end headsets may offer the ability to pair with more than two devices, at Samsung’s price-point, two is more than enough for most customers. 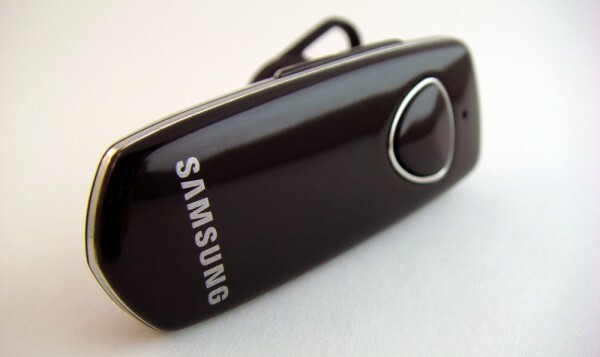 At first glance the Samsung Modus 3500 looks like a typical Bluetooth headset. However, it turns out that the microUSB charging port also doubles as a connector for an included pair of earbuds. While I was disappointed to find that it didn’t sport a standard 3.5mm headphone jack, it’s understandable since there’s not much room for more ports on such as small headset. But as someone who enjoys his pair of expensive Shure headphones, having to settle for these even with the convenience of wireless free is an issue. In addition, as most music is already compressed down to just 192 kbps or lower, further compressing audio over bluetooth leads to noticeable degradation in quality. I understand the urge to listen to music wirelessly and it is necessary to move more towards wireless, but there needs to be a mindset to reproduce the audio in the way it was intended. The included earbuds are a hybrid between in-ear headphones and the earbuds Apple provides. Taking calls while using the earbuds is possible since it features a built-in microphone on the cable. Although the Modus 3500 works great for voice commands and listening to music isn’t unpleasant, there is unfortunately isn’t a physical key to control music playback. The tap to pause, double tap to skip ahead, and triple tap to jump which is featured on Apple headphones, isn’t available on the Modus. This means that all navigation needs to go through voice commands. It works but having to wait for the beep to say next song, pause, or play is a bit too tedious. I resorted to fiddling with my phone each time I needed to change tracks. Though the lack of physical controls isn’t a deal breaker, by any means, it is somewhat annoying. The Modus 3500 has the generic look of any other Bluetooth headset. 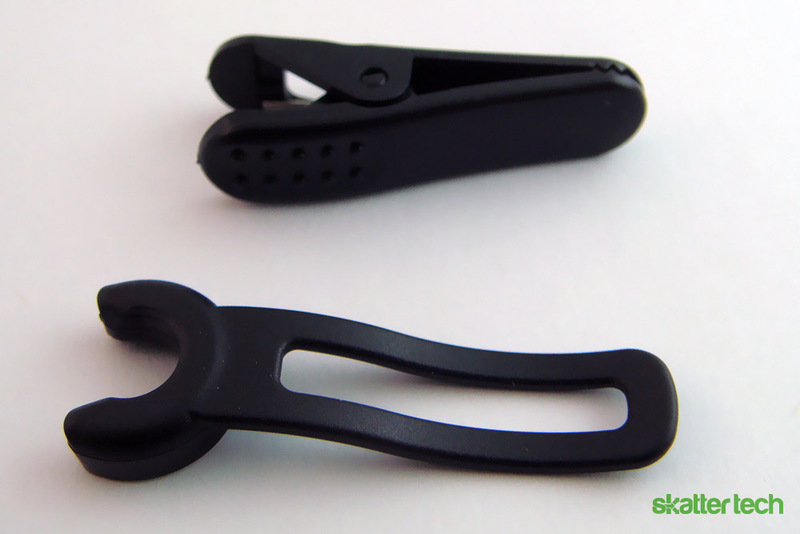 With its simple and sleek design, it doesn’t announce to the world that you’re wearing a Bluetooth headset. 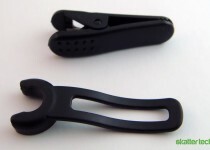 The headset is small only 47mm x 18mm x 9mm in dimensions. 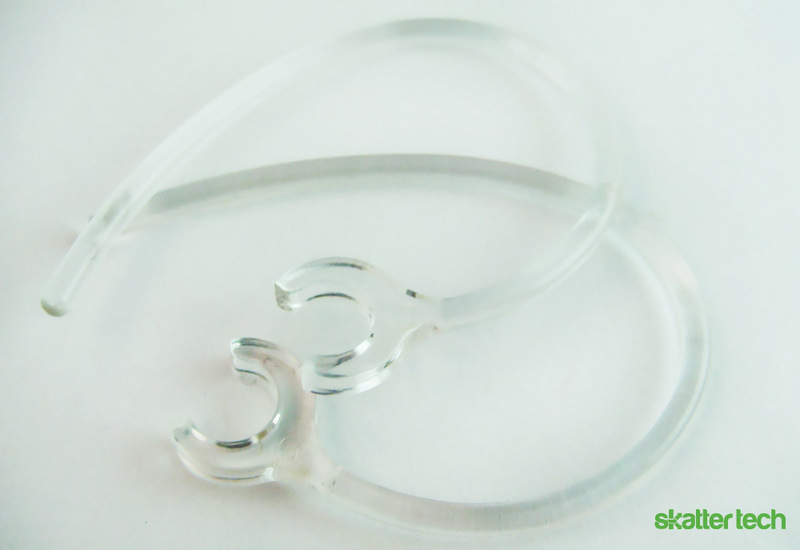 The device weighs a mere 10 grams making it nearly unnoticeable when worn, and the clear earloop makes it look as though it is floating on your ear. 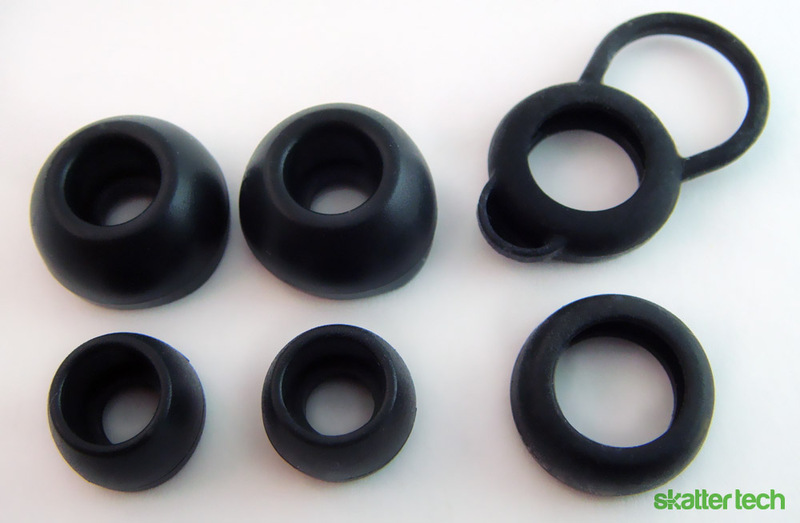 It includes three rubber tips of various sizes for both the earpiece and the earbuds. The headset felt good in my ear, even for an extended period of time; the earbuds on the other hand, did not feel quite as comfortable. The buds seem too big for my ears; even when using the smallest tips the inside of my ear felt pressure. Although this wasn’t anything unbearable, just small annoyance detracted from the overall experience. Looking at the actual design, the top of the Modus headset features a triangular multifunction button that is used to answer, make, or end calls and to pair the device. The power switch and indicator LED are on one side, while the volume rocker is on the other. The audio quality is perhaps the most important part of any Bluetooth headset. Unfortunately, I wasn’t too happy with the Modus 3500. While I could hear the other person on the other end clearly, people sounded a bit squeaky. Additionally, when the person on the other side spoke particularly loudly or had a lot of background noise, there seemed to be some crackling in the audio. This wasn’t too problematic since it didn’t occur often enough for it to be a problem. The Modus 3500 also features dual microphones for noise cancellation. My expectations were once again let down as extraneous noise wasn’t cut down too well. The amount of noise cancellation was minimal. Some high-end Bluetooth headphones such as the Jawbone use special technologies to truly eliminate any unnecessary sounds. The Modus on the other hand simply reduces non-voice sounds, but not by much. When driving with the window down or in a crowded area, the outside noise still bled through to the other person. But it still managed mitigate those levels. But when it comes down to it, it’s a bit disappointing to find that similarly priced competition offer better noise isolation levels than the Modus. When it came to headphones for music, I was actually impressed as I came in with low expectations for Bluetooth music. There were some minor annoyances, such as the music feeling slightly muffled and the high-tones being all but eliminated. However, I soon realized the convenience factor of not have to bring a pair of headphones with me just for music. In addition, I found that I was even able to listen to music through the headset in mono, without the earbuds. I found this to be useful when driving since my car does not have an auxiliary plug to connect my iPhone. It’s great for podcasts, and I won’t be breaking the law either since only one ear is covered. 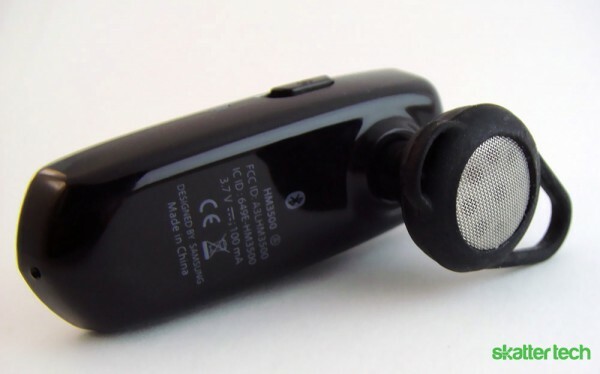 The headset mode also features a microphone on the cable for placing calls without having to switch back to the headset mode. I was fairly impressed with the Modus 3500’s battery life. I tested it with mixed usage of music and phone calls. It lasted around 4.5 hours, which was surprisingly close to the promised battery life. Though the Modus 3500’s battery is comparable to most Bluetooth headsets, I wish it could last a bit longer since I listen to music for extended periods of time. It definitely will not last as long as my iPhone can keep playing. But fortunately, since it uses a microUSB cable, it’s easy to recharge if the device does run out of power. Unfortunately, Samsung only provides an AC charger but the headset can be charged using the USB port on a computer if you have a microUSB cable lying around. 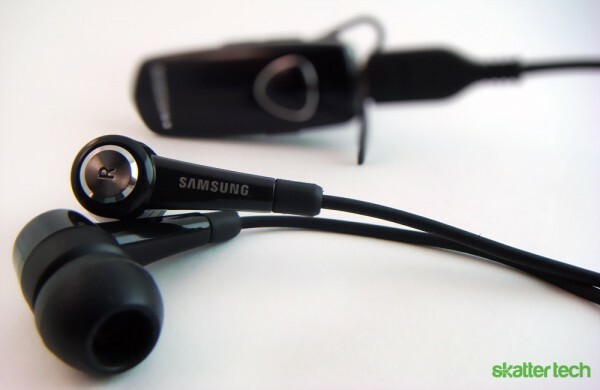 For those looking for a multipurpose Bluetooth headset, the Samsung Modus 3500 is an excellent choice. The ability to listen to music over Bluetooth is a unique feature that most competitors in it’s class don’t offer. While I do feel that the audio quality for stereo music could improve, the problem is widespread to the entire Bluetooth technology. Audiophiles will still be sticking to wired headphones for sometime. As for the headset component, I was hoping for better noise cancellation levels, but Modus is by no means sub-par. Samsung offers the headset for a very compelling $45. For the most part, the Modus 3500 is a feature-packed Bluetooth headset that I would recommend to anyone looking for an affordable solution. its pretty cool to have different kinds of headset designs. I prefer color black. Its the default color of every things and its formal to see.